Arabuko-Sokoke is conservation value number two on the African mainland. Lies a few kilometers inland on the Kenyan coast, between the towns of Kilifi and Malindi and approximately 110 km north of Mombasa. It is the largest extant fragment of the forests that once covered much of the East African coast, and whose remnants constitute the East African coastal forests Endemic Bird Area. Arabuko-Sokoke was proclaimed a Crown Forest in 1932 and gazetted in 1943. Part of the forest, containing sections of the three main habitat types, was gazetted as a strict nature reserve (covering 4,300 ha) in the late 1960s. Arabuko-Sokoke boosts of a more than 230 bird species checklist including nine globally threatened species, namely; Southern Banded Snake Eagle, Fisher’s Turaco, Sokoke Scops Owl, Spotted Ground Thrush, Sokoke Pipit, East Coast Akalat, Amani Sunbird, Plain-backed Sunbird, and Clarke’s Weaver. 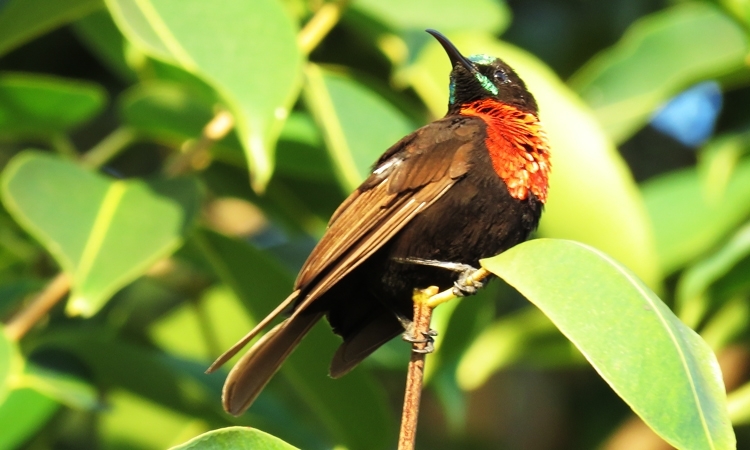 Arabuko-Sokoke has five of the seven species of the East African coastal forests Endemic Bird Area and twenty-three of the twenty-nine species of the East African coastal biome species that occur in Kenya. The place is also rich in rare and endemic wildlife with Six taxa of butterfly endemic to the East African coast, present, as well as three rare near-endemic mammals, and amphibians.